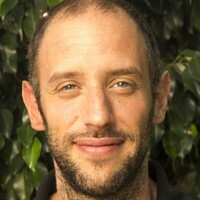 Dr. Ignacio Carrera works as an Assistant Professor in Organic Chemistry at the Universidad de la República, Uruguay. His research interest lies in the preparation of novel small molecules for the treatment of neuropsychiatric disorders and also the development of new biocatalytic methods for enantioselective organic synthesis. He obtained his PhD in organic chemistry in Universidad de la República and coursed his postdoctoral studies at Columbia University in the city of New York. Ibogaine and neurotrophic factors: GDNF, BDNF and NGF releasing properties of ibogaine and activity of novel ibogaine analogues. In this work, we studied ibogaine´s ability to alter neurotrophic factors expression. With that aim we quantified the GDNF, BDNF (Brain Derived Neurotrophic Factor) and NGF (Nerve Growth Factor) mRNAs by qPCR in different areas of the brain of rodents (pre-Frontal Cortex, Nucleus Accumbens, VTA, hippocampus and Substantia Nigra) treated with ibogaine doses ranging from 20 to 40 mg/Kg. Preliminary results show a change in mRNA expression of these factors compared to the control groups. Especially striking was the increase of GDNF in VTA, and BDNF in NAcc. Also, different ibogaine analogues were prepared to search for molecules with enhanced GDNF releasing properties. Inspired by the ibogaine’s molecular skeleton and the state of the art,  we produced N-indolylethyl-isoquinuclidines using enantioselective synthetic strategies. We tested these compounds in vitro, in C6 cells to assay their GDNF-releasing potential. Preliminary results show potential candidates as new anti-addictive substances.